It’s the first day of October so we are in FULL Halloween mode. 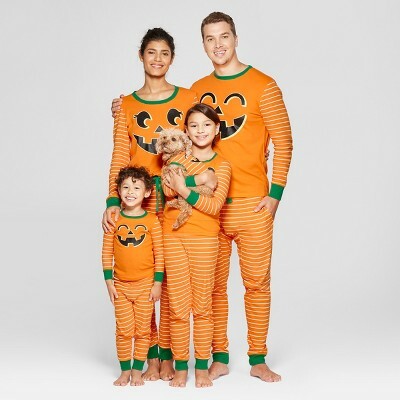 To get in the spirit, check out these matching family pajama sets – including dogs, of course. This one, from Target, is reasonably priced at $10-$25 per family member. The design features a carved pumpkin grin on stripes, which makes for a classic look. And if you’re in a “treat yo self” kind of mood, head over to Hanna Andersson for sets like this one, with items priced at $30-$46. 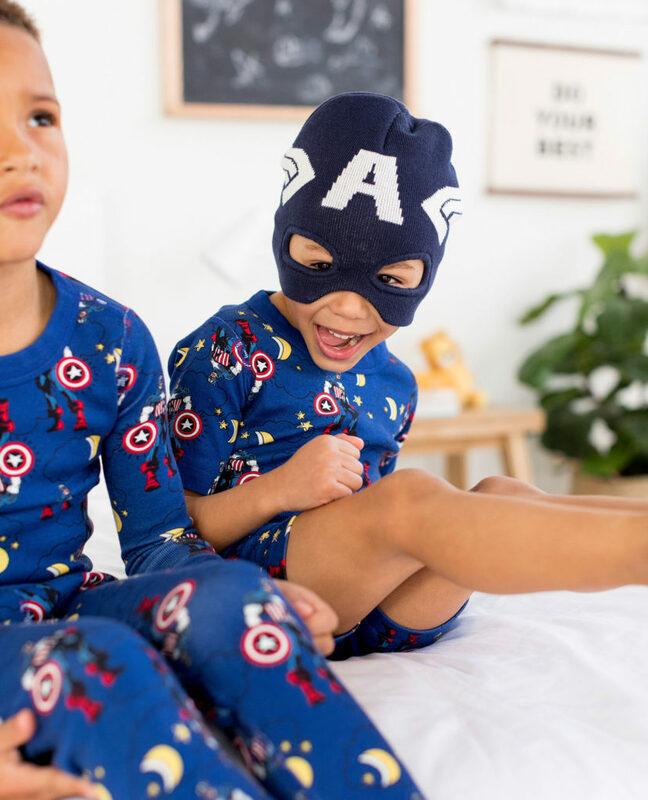 All pieces have the Marvel Captain America shield design, and the collection has two different color schemes for kids (as pictured).